Even though summer is officially over, it doesn’t mean that there are not plenty of things to do in London during October! The weather may be cooler now, but you can get out and admire the riot of autumn colours as the trees change from deep green to golden hues, warm copper and deep red across the city parks. As British schools break up for half-term, there could be no better time to take a trip to Kew Gardens, Richmond Park and other green spaces to witness the change of season. Keep an eye out for the many children’s events being held across the city for half-term to help keep the kids entertained. Don’t forget that you can keep on playing crazy-golf throughout the autumn and winter in London! With lots of indoor and undercover locations across London, Plonk! Crazy Golf has you covered for a breezy October day, come rain or shine! Head to one of their superb crazy-golf locations in Islington, Peckham, Battersea, Hackney and more. Plus Plonk! Courses are well situated in popular pubs or entertainment centres that mean you don’t have to travel far to get some superb food, craft beers or fancy cocktails. A win-win all around for a fantastic day or evening of fun with your friends! 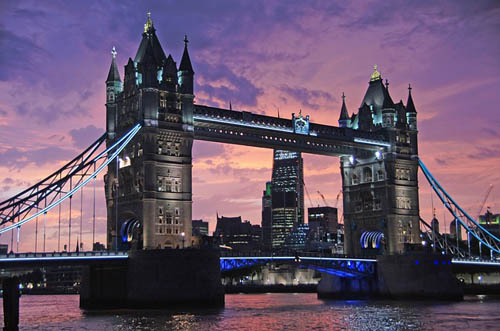 London is the city that never sleeps, and visitors can look forward to a host of events that continue to be held all year around. For October, you can experience the London Restaurant Festival and get your gourmet on with a range of one-off menus and food-themed events for the whole month. You can even indulge in some amazing new and classic cocktails during London Cocktail Week with tastings being held at venues all across London. Spending Halloween in London is so much fun! If you are lover of ghoulish themes and spooky events, then London has plenty of ghost tours and special Halloween-themed events for you to enjoy. Look at London museums, who regularly run family-friendly Halloween events for half-term and beyond. Check out art galleries and museums for after-dark events for adults only. The Tower of London, Kensington Palace and Hampton Court Palace are usually home to spectacular spooky events for Halloween. If you dare to be really scared, why not take a tour of London’s most spooky and ancient cemeteries and graveyards for the London Month of the Dead event.